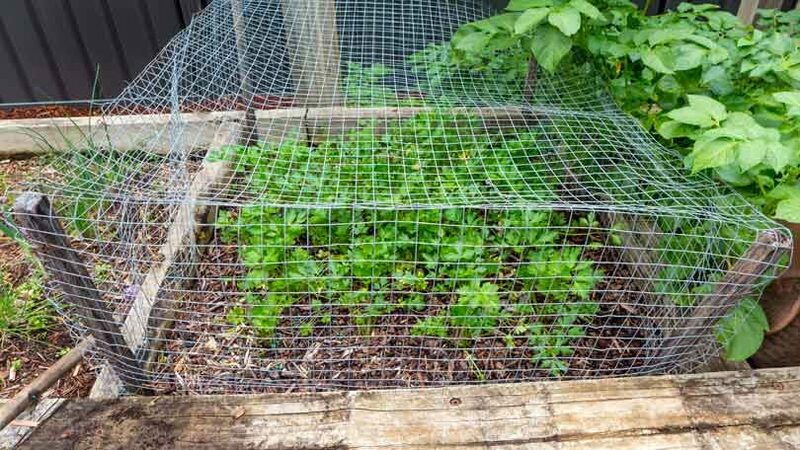 This post is dedicated to all the home gardeners in Canberra who are doing battle to protect their vegetables, flowers and herbs from the onslaught of possums that will– if allowed– eat their way rapidly through a crop that happens to suit their particular tastes. There seems to be no one menu for possums. They pick and choose – and once they do– whatever they set on is rapidly munched away. In memory of my mother’s garden, last year I set out to establish an array of geraniums. HA! Soon several were reduced to bare storks. Those that survived were having to be covered at night. Not much fun in that. 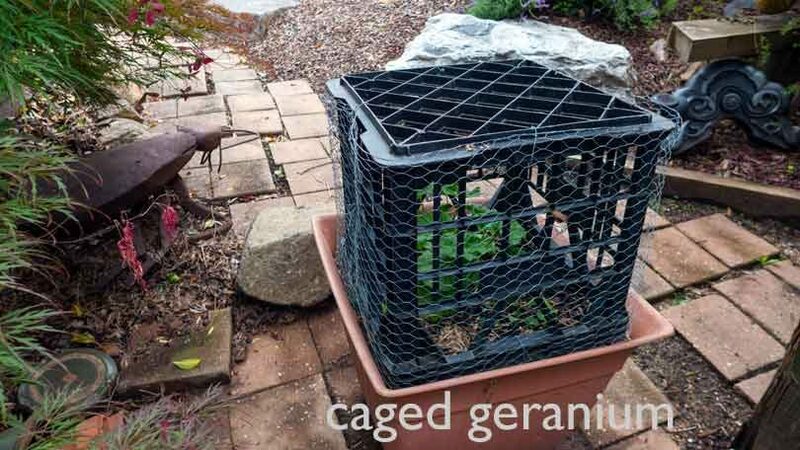 I have given up on any geranium collection. Meanwhile a friend just a couple of streets away – her geraniums go completely untouched. As for vegetables – I use to grow tomatoes and strawberries – not any more. As the tomatoes ripened, those that the birds did not sample – the possums chewed into over night. Then there is the sad case of Italian Parsley. 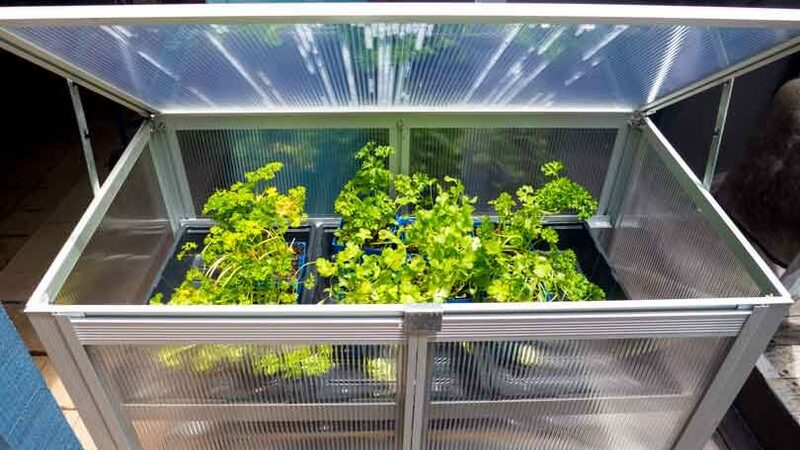 The same friend as mentioned above made the mistake of buying several pots of parsley and as it was raining – she left them out over night for a good watering. In the morning she was confronted with pots of stalks. The possums did not even leave a note of thanks. As for lettuce and other greens such as the wonderful English Spinach, I think the word goes out immediately that they arrived here in pots and all the neighbourhood possums then descend overnight for a feast. Yes I did plant some once, it took two days and they were gone. The plague of possums does remind of us of their presence in other ways. I now cover our verandah tables at night – in order to reduce the constant deposits of piss and crap left by possums having a night out on our tables. My sympathies go out to others who choose to do the honourable thing by avoiding buying everything from the supermarkets and grow home vegies and maybe flowers. The bad news is that those creatures that pretend to be so friendly (and have so many allies) will be talking among themselves about their coming feasts as soon as your first plant enters the soil. We put in the efforts to have more greenery, to grow more at home and to have a fantastic ambience of an urban forest. Unfortunately that has meant a proportional growth in the number of animals that live alongside us.